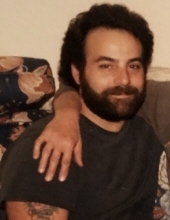 Celebrating the life of Paul F. D'Alesandro, Sr.
Obituary for Paul F. D'Alesandro, Sr.
Paul F. D'Alesandro, Sr. passed away peacefully at home on January 22, 2019. He is survived by his loving son, Paul D'Alesandro, Jr., his mother Theresa "Tess" D'Alesandro, brothers Michael (Kathy) of Newfield, NJ; Richard (Sue) of Medford, NJ and a sister Theresa "Terri" D'Alesandro of Cherry Hill, NJ. He is also survived by many nieces, nephews and cousins. Paul was happiest surrounded by family and friends. He was a life long Eagles fan and Dead Head. Relatives and friends will gather Saturday February 9th from 10 to 11 AM at Holy Eucharist RC Church 344 Kresson Road, Cherry Hill, NJ 08034. Interment Locustwood Memorial Park, Cherry Hill, NJ. In lieu of flowers contributions in his memory may be made to the American Cancer Society 1851 Old Cuthbert Road, Cherry Hill, NJ 08034 or to the charity of your choice. Please visit schetterfh.com to share your condolences with the family. To send flowers or a remembrance gift to the family of Paul F. D'Alesandro, Sr., please visit our Tribute Store. "Email Address" would like to share the life celebration of Paul F. D'Alesandro, Sr.. Click on the "link" to go to share a favorite memory or leave a condolence message for the family.